Celestron's Nature DX 8x42 binoculars are the perfect companion for your next outdoor adventure. A great first step into the world of serious sport optics, the views through Nature DX rival those of more expensive binoculars, at a price to fit your budget. With phase-coated BaK-4 prisms and fully multi-coated optics, Nature DX reveals image detail you won't find with other entry-level binoculars. And when you're off the trail, enjoy superb views of concerts, sporting events, and more. With 8x magnification and 42 mm objective lenses, Nature DX 8x42 strikes the perfect balance between performance and ease of use. Acquire and follow your subject quickly in the wide field of view. Or, observe nearby subjects like plants and insects with a close focus of just 6.5 feet. 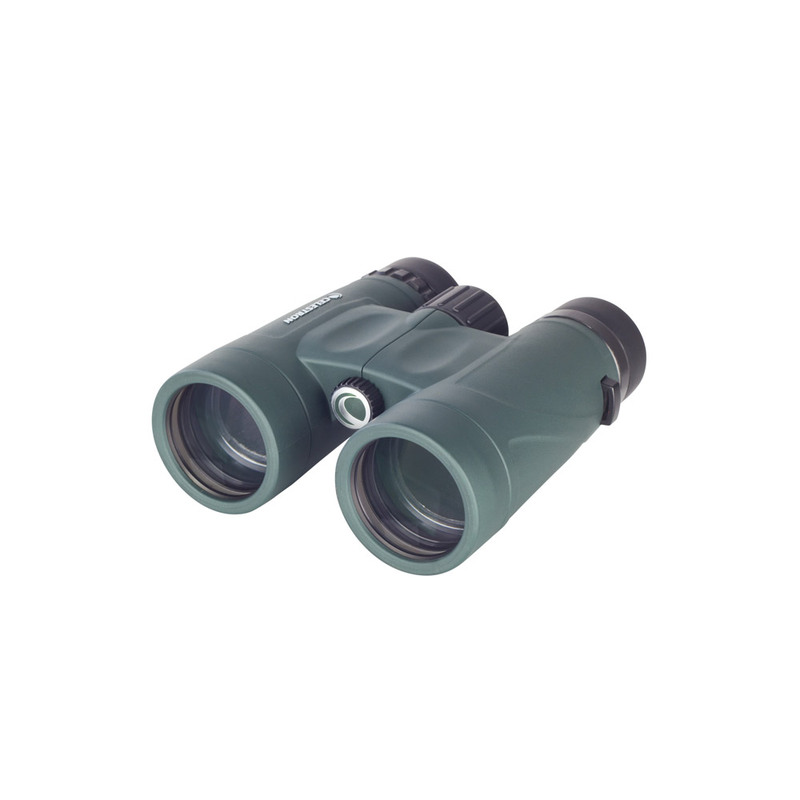 Waterproof, fogproof, and nitrogen purged, these binoculars can withstand the elements. They're easy to pack, even for long excursions, and fit comfortably in a glove box or oversized pocket. Birders will love Nature DX for its bright, sharp views of distinguishing features and markings. You'll get more bird identifications and more enjoyment from each birding outing. The 8x42 model is a favorite among beginning and intermediate birders, since birds are easier to locate and follow in its wide field of view. Take your passion for birding to the next level with Nature DX! Great for birding and beginning night sky astronomy!